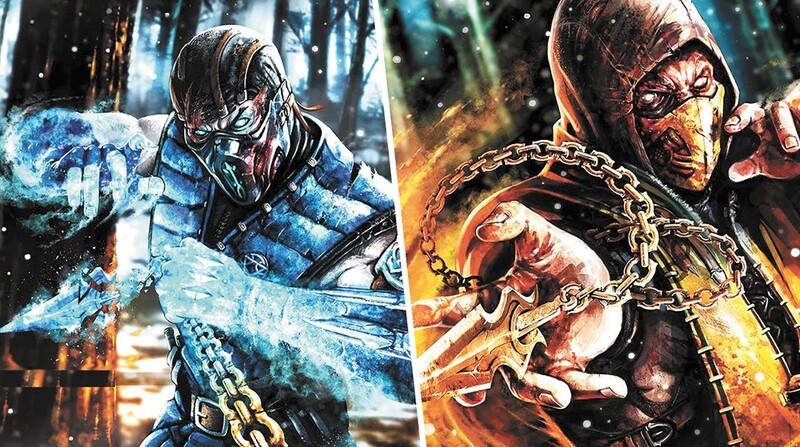 Yes, everyone knows that Mortal Kombat X is violent. Sometimes, the game's brutality feels like a homage to all that is grotesque — the writers of MKX having a disturbing penchant for ripping organs out of bodies and giving us gaping holes where brains and torsos should be. Whether it's whirligig-ing a samurai sword and slicing off an opponent's face, or exploding an opponent's jaw and taking a selfie, this sort of violence really should exclude the young, weak and elderly from the game. Plain and simple — don't buy it for your kids. But amid all the dangling intestines blowing softly in the wind lies a semblance of a story line, a touching plot sleeping softly in a nursery of brutality and bloodshed. Johnny Cage and Sonya Blade brought into the world a new character Cassie Cage (selfie girl). Jax, Kenshi and others also produced progeny in the expanse of timespace between previous Mortal Kombats and MKX. In total, eight new personalities join the ranks. Each character also has three unique variations, gameplay permutations that aid in cutting monotony. The addition of a "faction war" meta-game is an interesting way to combine humankind's love for clubs and inclusion. The faction war is a mechanic aimed at long-term playability — a bloody carrot on a bloody stick for nerds who have always wanted to rally with their peers to slay an indomitable evil. Basically, you choose a faction. The more you play, the more you help your faction. The best faction gets cool stuff. The development of every nook and cranny of this game impressed me. Towers are cooler. The crypt is as spooky as ever. Online play and multiplayers also saw enthusiastic expansion into harder, better, faster versions of themselves.